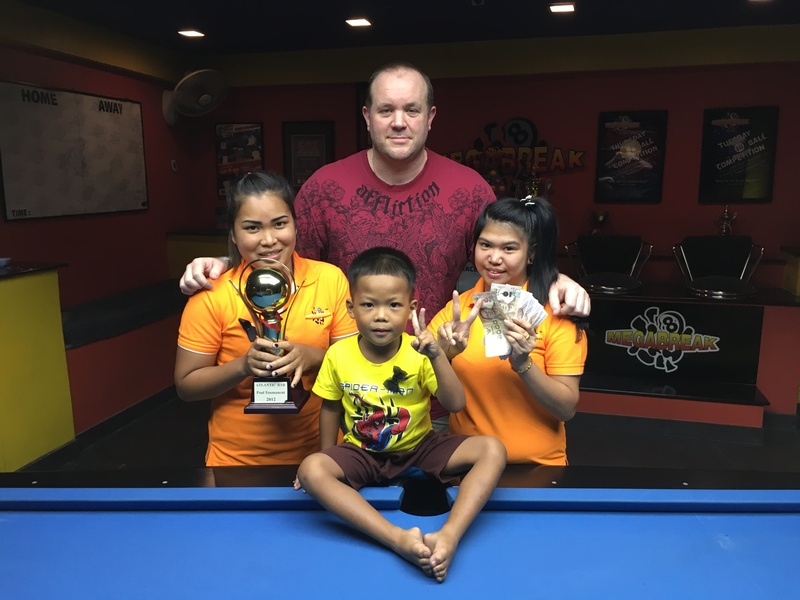 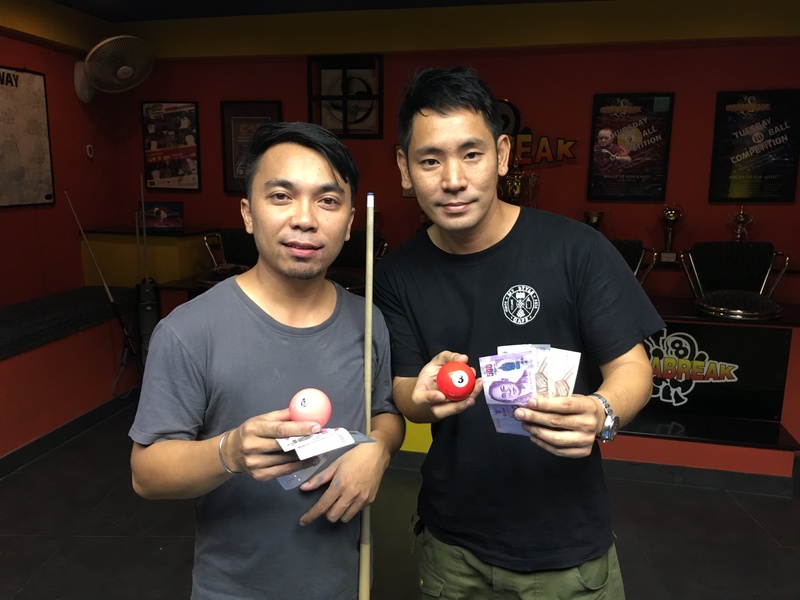 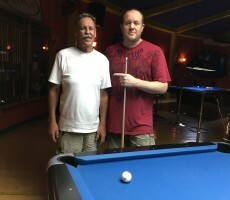 TUESDAY 10 BALL GRAND FINAL : SCOTT IS CHAMPION. 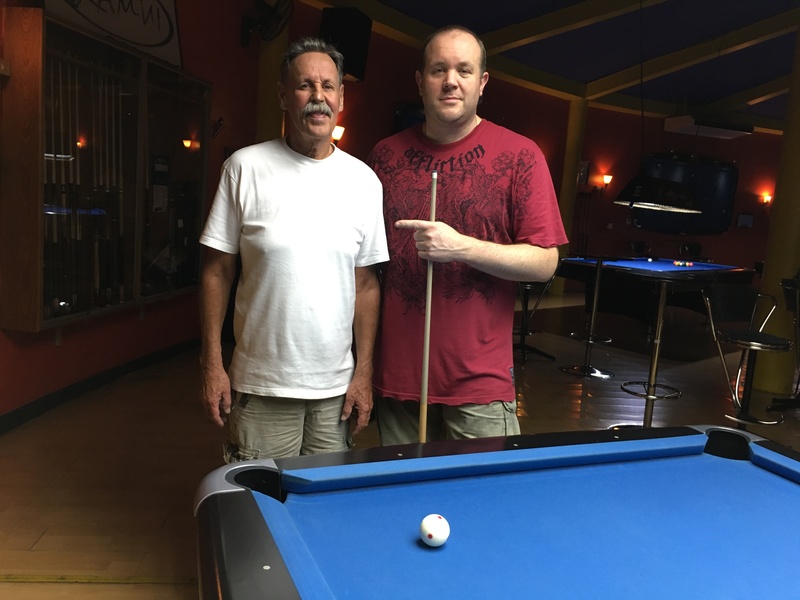 Scott Cooney (A+20*) won our Tuesday 10 Ball Grand Final for Season 13 on Saturday night, defeating Rick Jones (A+5) from The USA in the deciding rack of the final. 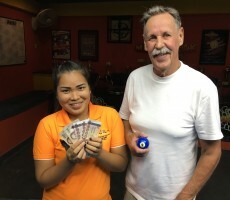 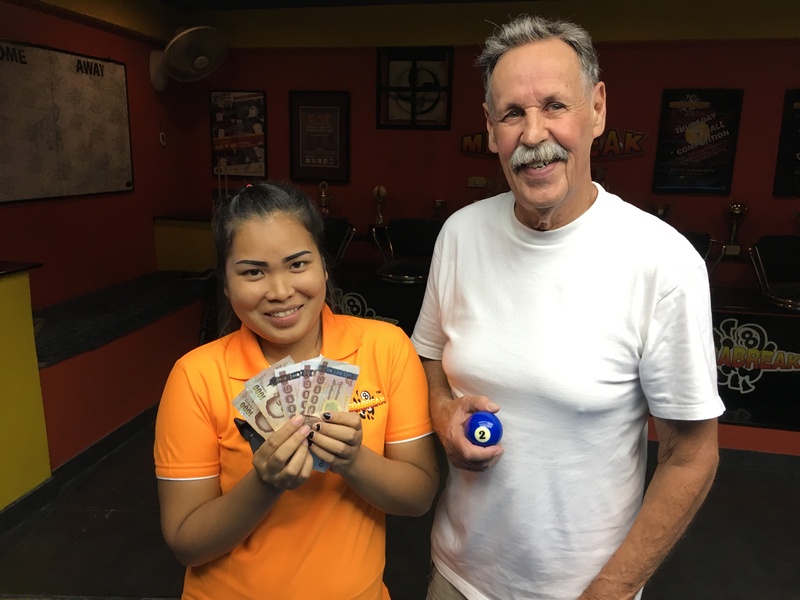 He collected the 1st Prize of 10000 baht, with Rick receiving 5000 baht as Runner-Up. 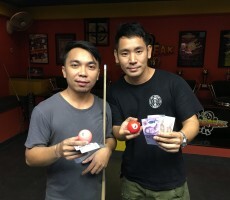 The Thai pairing of Pipe Tanat Makkamontee (A+20) and Yut Ratchanon Khotakhob (A+13) both reached the semi-finals, taking home 2500 baht each.